Silver didn't end up going very far, not deep enough to make money on physical (which is where my efforts reside). I still think it has a real dip in it somewhere, and am going to try and hold on to as much cash as possible to allow me to exploit any such drop. But in the meantime, I just placed an online order for a new pistol. The cheapest P.O.S. 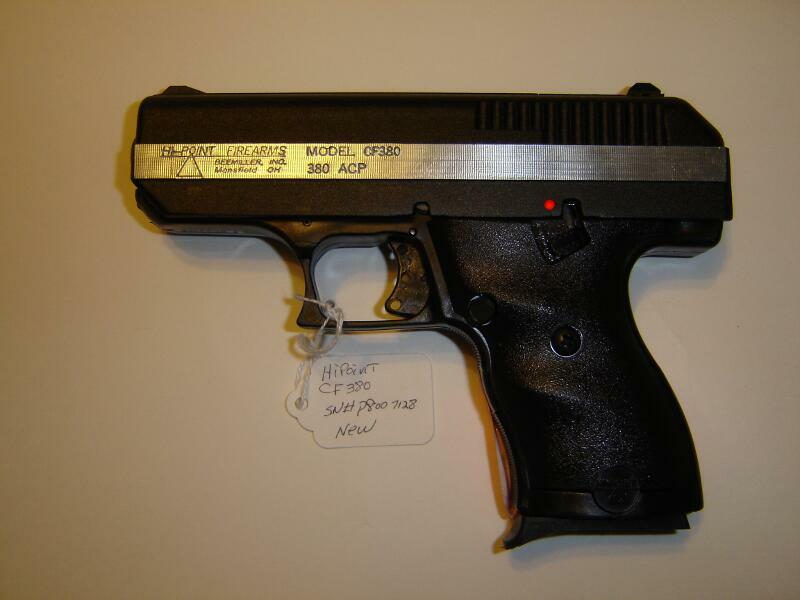 I could find: A brand new Hi-Point CF .380 from "hipointpro.com" (<-good or bad, I'll let you know if they are legit when/if I get my pistol). A CF .380, not mine. Let me explain my choice of gun. In previous posts I had outlined specific budget concerns. I needed a gun around $200, with taxes and 50 rounds of ammunition included in that price. The best I was able to do on my previous round of hunting yielded the Taurus PT-22, a well made super compact whose biggest shortcoming (and strength) was its .22lr caliber. I already own .22lr guns and have the ammo. So with a price tag of $249 it seemed reasonable. That said, I did want a bigger caliber. So I found one, at a price I could get behind, even if it suffers in quality. My neighborhood is getting worse, I'd like a pistol ASAP. As long as it lasts 2 years with acceptable amounts jamming (1 in 100?) I'd be happy. And, for $140ish the Hi-Point 9 Millimeter C9 seemed perfect. Except I couldn't find it in stock. But it had a little brother, that was still a step up from the .22lr, with a price that would allow me the single box of premium ammunition I'd like. I've had it shipped to a local FLF dealer, free shipping, with a grand cost of $129.90. I figure $20 of ammunition, and $20 to pick it up - I've got a .380 compact semi (with some drawback's I'll point out when I review it (if it arrives :P) and ammunition for self-defense (training ammunition will have to wait 'till next paycheck) for a sum (projected total) of $169.90. You need to run at least 200 rounds through it to make sure its broken in and to learn any idiosyncrasies, Also, it builds confidence in handling it, the things get snappy recoil.